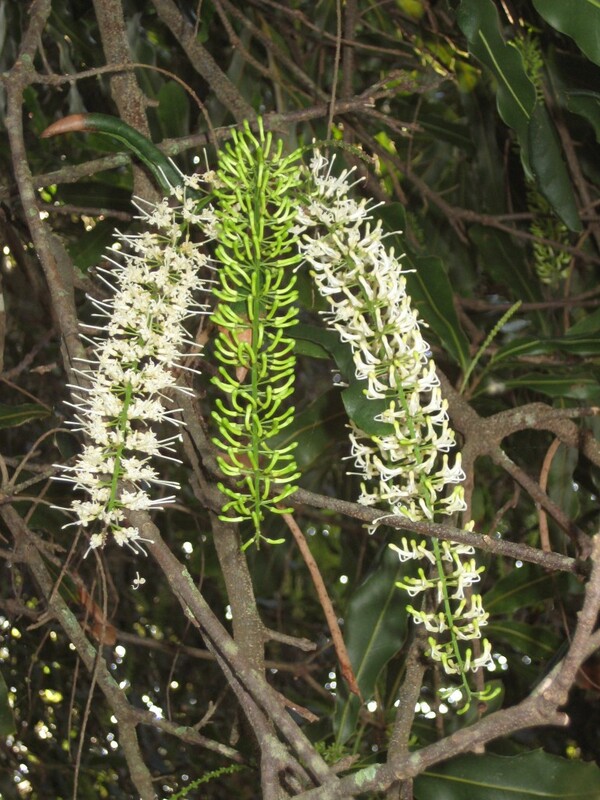 On New Year’s Day, this Macadamia Nut Tree flower asked to be made into a flower essence in order to support launching the culmination of the energy from 2010 into 2011. The year 2010 has held the energy of “3” as the cluster above reflects. A “3” year asks us to connect to the holy trinity of our body, mind and spirit. 2011 is a “4” year: time to believe in our new foundations of light and our ability to build upon them in the coming year. The leaves of Macadamia Nut Trees also reflect the 3 & 4 theme, as the leaves grow in whirls of 3 or 4. On the evening of January 3rd and into the morning of January 4th, the energies of the partial solar eclipse, the New Moon, and the Quadrantids Meteor Shower will be pouring down upon us. Take a moment to gaze at the Macadamia flowers: Let her be a vision for you of the cosmic energy that is radiating to you. Breathe it in, feel the starry radiance fill you up and activate your own cosmic origins deep within. – Feel drawn to work with Macadamia Flower Essence? Contact Denine to order a bottle ($9 plus postage) Putting a few drops of the flower essence in your water and drinking it over the course of your day will bring in its energetic support all through the day. – Note: Macadamia Nut Oil is a good source of omega fatty acids and excellent for the skin or for cooking.